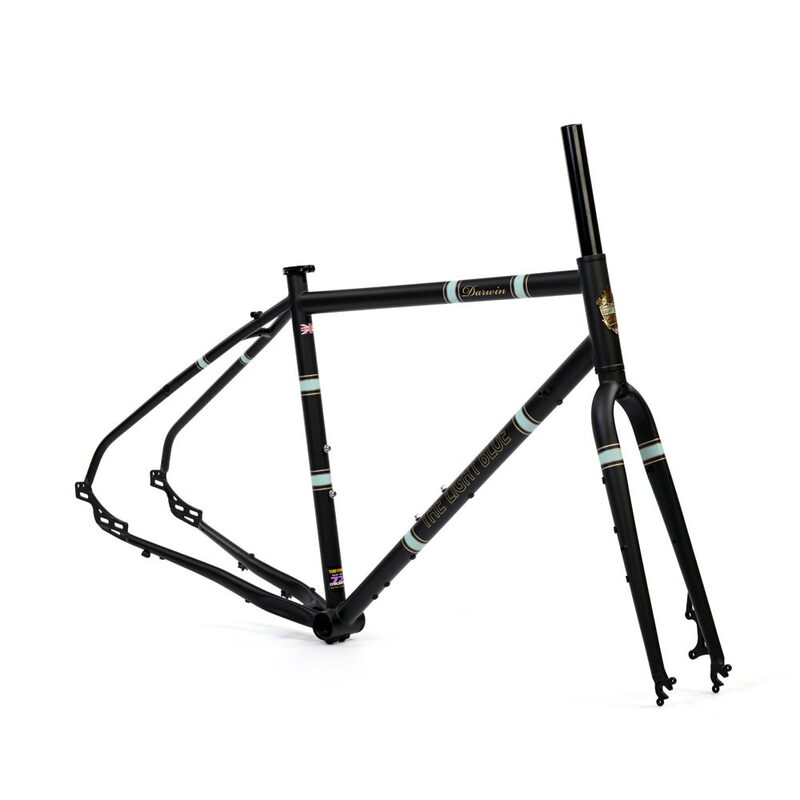 The Darwin is a versatile, modern, tig welded, Reynolds 725 steel tubed, touring/adventure frameset. Ideal for road or off road riding and can be built in to a variety of different build specifications. 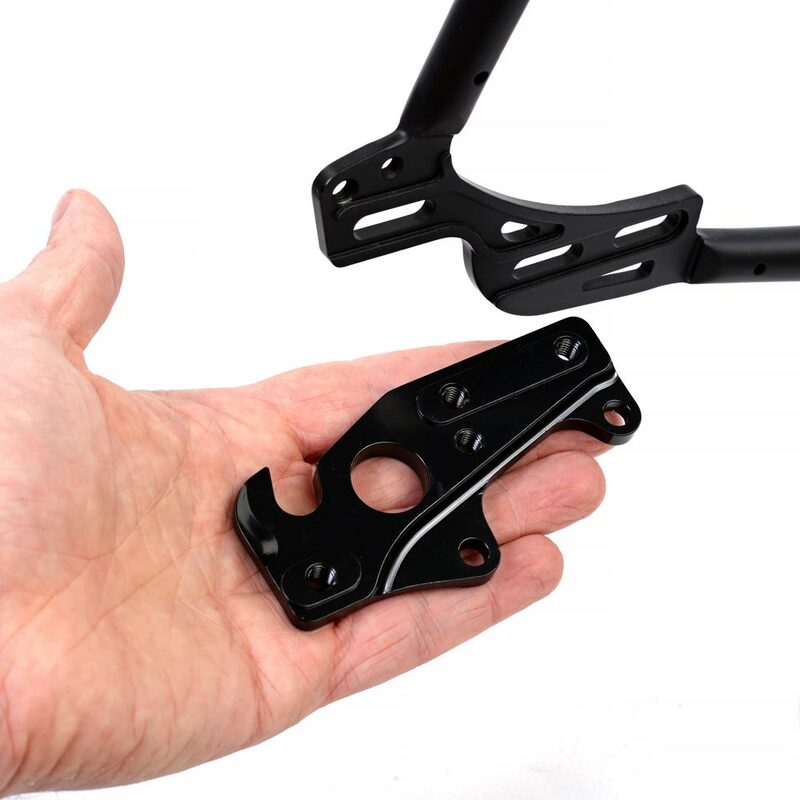 Disc brake compatible and with variable size geometry, this frame also has ample clearance for up to 45C tyres (or 35c with narrow mudguards), in addition to a multitude of bosses to allow for almost every conceivable cage, carrier or cable set up. 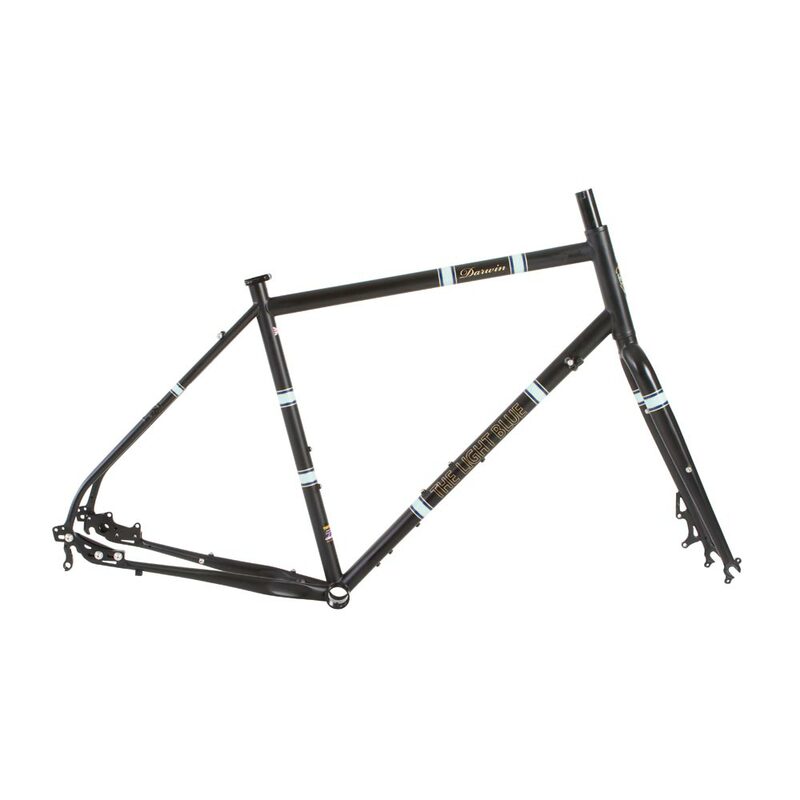 The Darwin is robust, yet light and provides the comfort you would expect from a quality steel bicycle frame. Custom bi-oval down tube reduces lateral flex in the bottom bracket area for better power transmission. 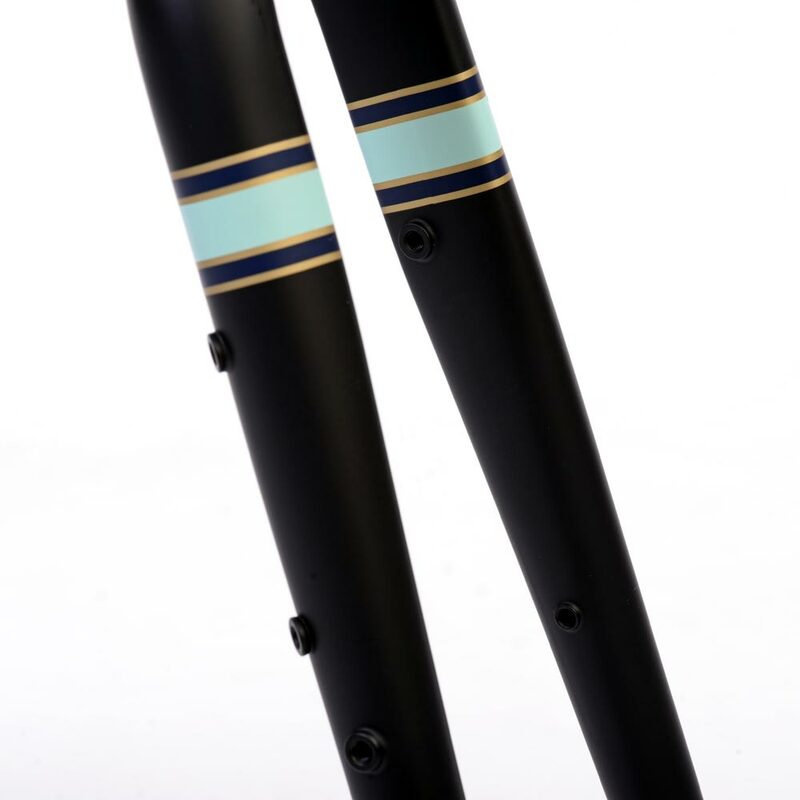 Sloping top tube design allows for more seat post flex and thus more comfort. 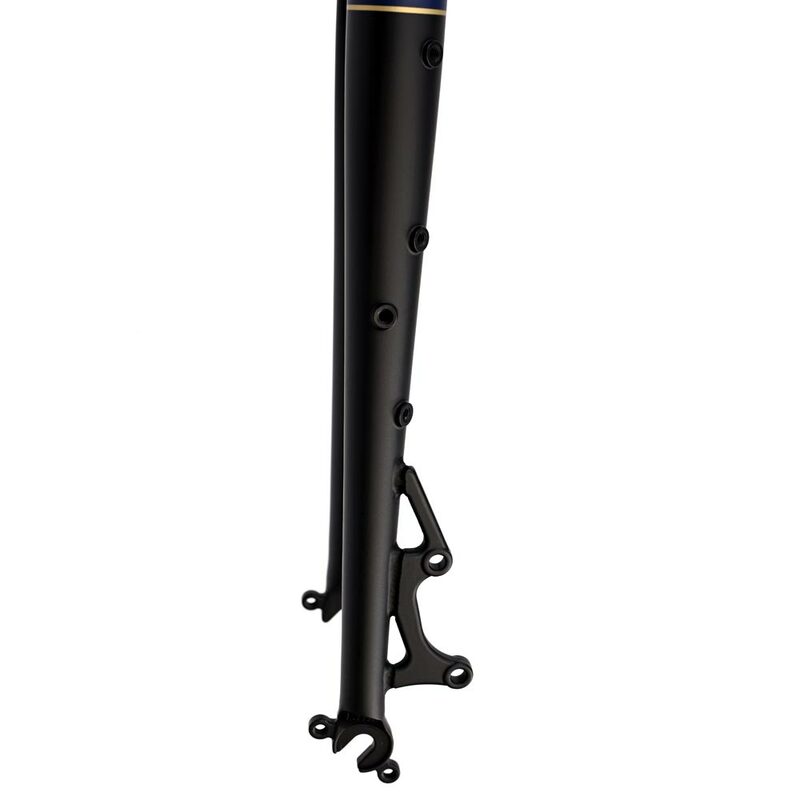 Variable size geometry, provides predictable handling and a comfortable ride. High specification Reynolds 725 steel oval and b-oval double butted tubing delivers a great combination of lightweight, performance, durability and comfort. Sliding ADS-3 dropout system allows derailleur, single speed or hub geared options and provides chain/belt tensioning solution. Lightweight, butted Cr-mo D section straight fork blades for disc brakes. Right hand seat stay splits to allow certified belt drive builds. 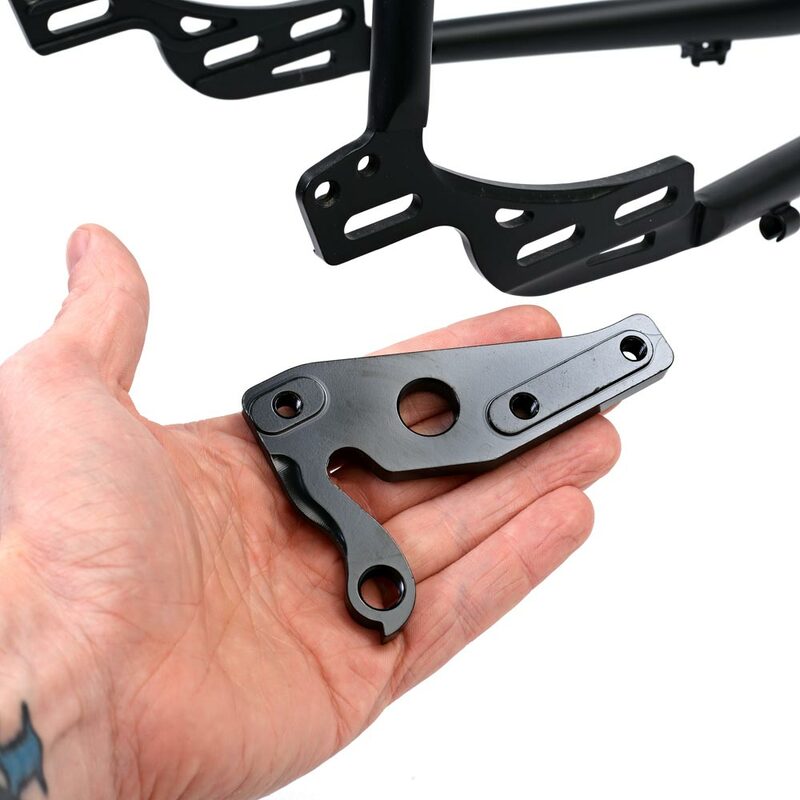 4 point fixing threaded M5 rack mounts on rear dropouts and seat stays. Corrosion resistant black ED base coat. 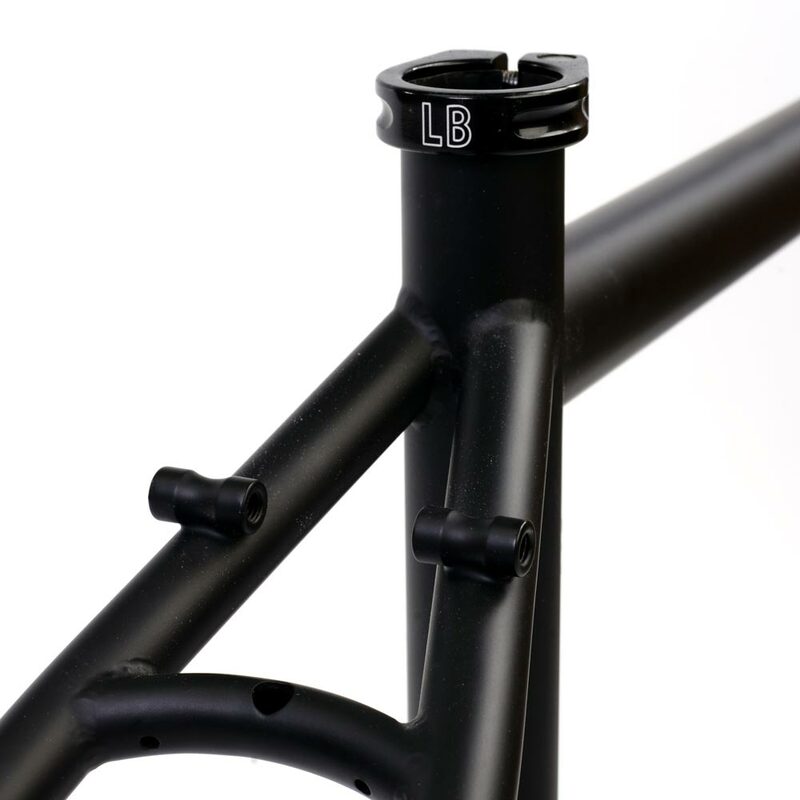 Forward facing seat post slit, with LB single bolt seat alloy clamp included.